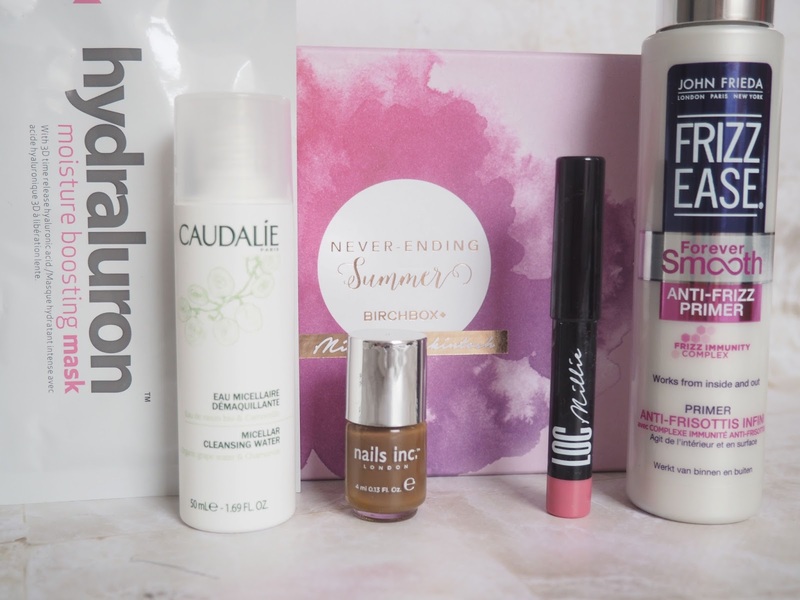 July's Birchbox was in partnership with Millie Mackintosh and comes with two full size products! The product I was most excited about receiving was the LOC x Millie lip pencil, this is in such a pretty rosey pink colour, I've tried a few other LOC products so I knew I would love this! It's a really wearable shade and the consistency is lovely and moisturising on the lips. I only use micellar water to remove my makeup so it is super handy to get a new one to try, this Caudalie one has a citrus scent and is really refreshing on the skin! The final product I love is the Indeed Labs Hydraluron Moisture Boosting Mask, I have quite dry skin so need something to really hydrate it and leave it looking a little more healthy, so this is perfect!